AOpen, though not a company that many consumers are aware of, has put together a couple very interesting devices that could end up in places like your local coffee shop in the near future. These two devices aren’t meant for consumers, but their reason for existing isn’t to be in Best Buy or Walmart. These devices are built with a very specific and very narrow focus. They are made to do one or two things and do them well. Combined with Google’s management tools, the Chromebase and Chromebox from AOpen are set to drive a new initiative from Google that aims to see Chrome OS devices become fixtures as kiosks and POS (point of sale) devices. Affordable, easy to set up, and extrememly durable, these two devices could be your small business’ best friends. 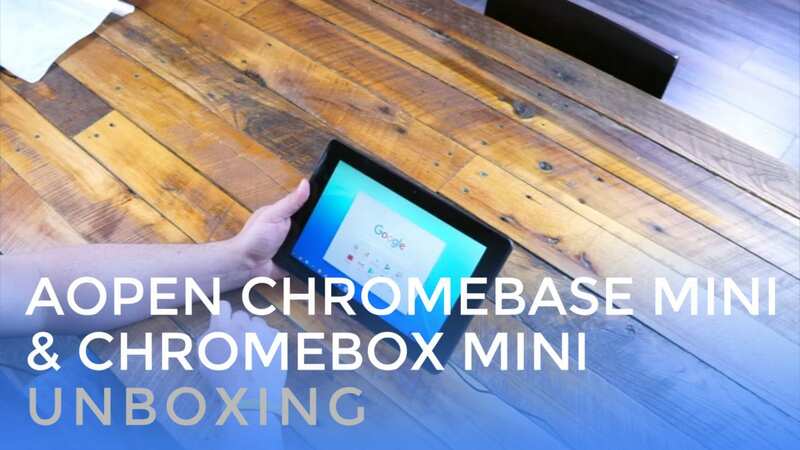 We’ll spend some time with these devices and with Google’s management setups to see how small business owners could potentially benefit from a Chrome OS driven digital experience. For today, we just want to get the device open and take a look at their build and layouts. Enjoy!